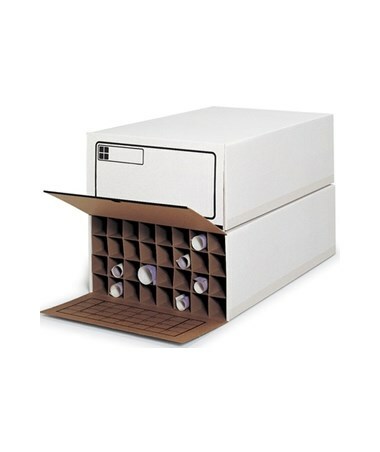 The Safco 37"D Tube-Stor KD Roll File is a lightweight and economical blueprint storage system with 18 compartments. 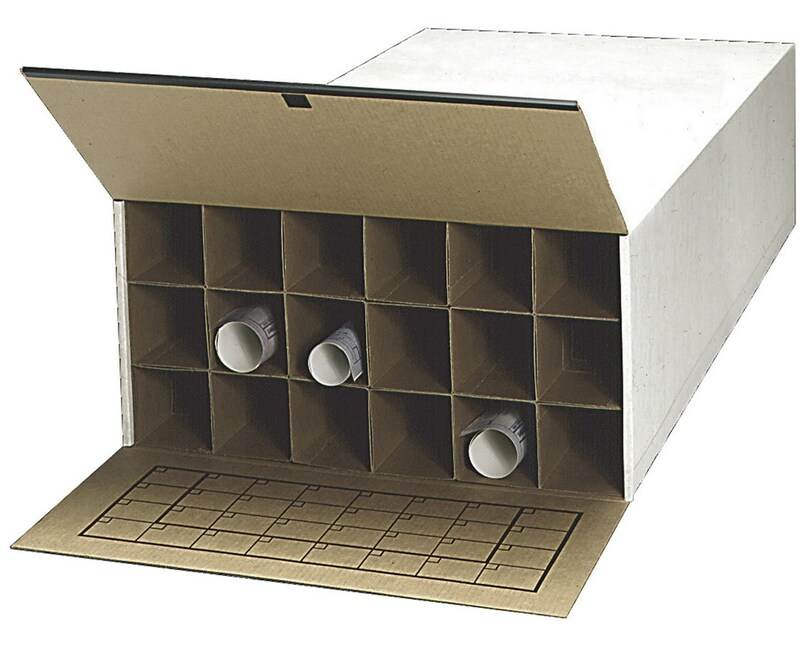 Each compartment has a roll diameter of 3.75 inches and can fit roll length of up to 36 inches. Also included are built-in tube length adjuster tabs that extend between 24, 30, and 36 inches. 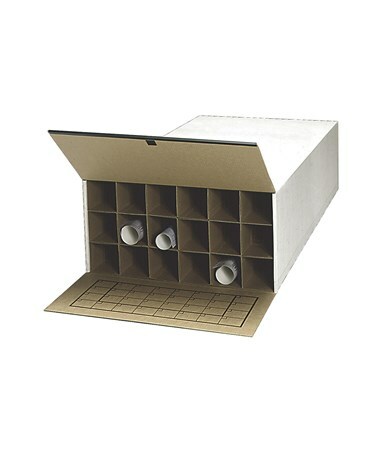 This roll storage box can be stacked up to three units high. It is made of sturdy corrugated fiberboard with wooden support boards. 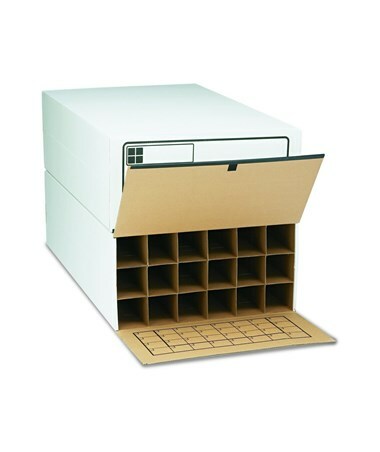 It is easy to assemble and is packed with two roll files per carton.